MPE Machine Tool Inc. is a proud retailer of Wohlenberg products. 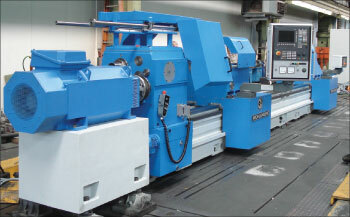 Wohlenberg machine tools are engineered and manufactured in Hannover, Germany. Utilizing state of the art technology and over a century of experience, Wohlenberg products provide customers with high quality, reliable machining solutions, customized to meet your specific production requirements. Their product line includes a variety of turning lathes, deep hole boring machines, and machining centers to meet a wide range of machining needs. Check out the links below to learn more about Wohlenberg product lines and contact our sales department to find the machining solution that’s right for you.